Michael Johnson has a post up that's an "answer" post to the full Brian Dean article on RAW I posted about a few days ago. Obviously, I am going to have to get around to reading George Lakoff. 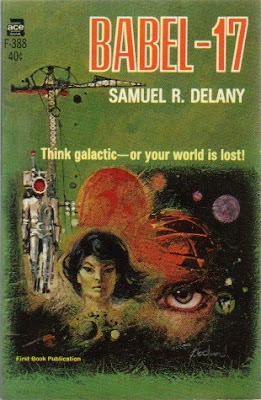 I don't know too much about linguistics, but I did run into Sapir and Whorf as a young man, probably still a teenager, when I read Samuel R. Delany's Babel-17. I have that on my Kindle and hope to re-read it soon. I bought it when it was on sale, too, just to have a a copy handy. All of his early books are good.